German Chancellor Angela Merkel urges religious tolerance at a remembrance service marking the day Martin Luther challenged the Catholic Church by nailing his theses to a church door. 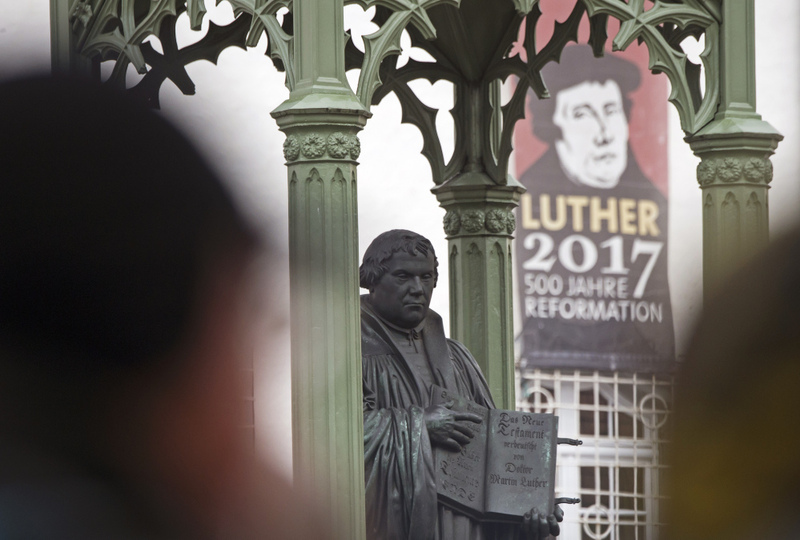 BERLIN — German leaders on Tuesday marked the 500th anniversary since the day Martin Luther is said to have nailed his theses challenging the Catholic Church to a church door, a starting point of the Reformation. German Chancellor Angela Merkel and President Frank-Walter Steinmeier took part in a service in the famous Castle Church in Wittenberg, where Luther supposedly posted his 95 Theses on Oct. 31, 1517. In remembrance of the 500th anniversary, Reformation Day was a public holiday in Germany this year. Thousands of people were participating in different church services throughout the day in the eastern German town of Wittenberg. The city also celebrated the anniversary with a medieval-style street festival including arts and cultural events. As Protestantism spread following Luther’s revolt against the Catholic Church, religious wars erupted, dividing western Christianity in a schism that resulted in hundreds of years of violence, persecution and discrimination. Merkel, in a speech in Wittenberg, stressed the importance of tolerance toward the wide variety of beliefs. Both Lutheran and Catholic clergy, who participated in different church services and celebrations throughout the day, vowed to do more for the unity of Christianity and to overcome differences.